I love Maranello's in Maroubra. I have been frequenting this local, kerbside restaurant for years and still love everything about it. No matter what day of the week it is Maranello's is always busy. Situated in the heart of Maroubra Junction in the forecourt of popular shopping hub, Pacific Square it showcases a well priced menu, attentive service and consistently authentic Italian fare. My favourite is their wood fired pizza. I have been unable to find such light pizza dough, dressed with a rich tomato sauce and generously topped with fresh ingredients and mozzarella, anywhere else in Sydney. They know how to make good pizza. Let's not forget their expertise with pasta. Whether it be the soft penne tubes, ravioli pillows, fettucini ribbons, long, thin spaghetti or round dumpling like gnocchi, each is served with the flavours and tastes of Napoli. Gnocchi Sorrento is a clear winner. 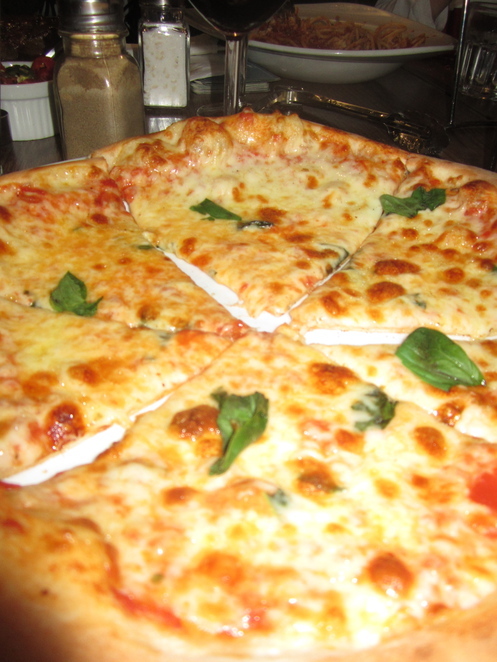 Cooked to perfection and served with a rich tomato sauce, topped with grand padano parmesan and mozzarella cheese. The chicken, veal and seafood dishes are popular inclusions in every good Italian restaurant but it's the pizza and pasta which bring the crowds coming back for more. Served with one of their six creative salads and you have a satisfying meal headed your way. The experience would not be complete without the lively atmosphere and friendly staff. Warmth is in the air and it's not just coming from the pizza oven. The owners know how to create a comfortable dining environment which supports the needs of families, couples, friends and parties. The wine keeps coming, glasses are clinking, the scent of basil and garlic wafts, laughter fills the room and Maranello's is alive.